Motorola just unveiled two new smartphones earlier this month, but it looks like the company could be working on another new phone with some seriously impressive hardware. Last month the benchmark for a potential device called the Droid Turbo leaked out and now it looks like the same phone just won FCC approval under another name. Say hello to the Droid Quark. This FCC filing doesn’t reveal much, though it does suggest the new Droid could hit stores in the near future. Based on earlier leaks we’re expecting the device to offer a Quad HD display, a quad-core Snapdragon 805 processor, 3GB of RAM, 32GB of storage and run Android 4.4 out of the box. 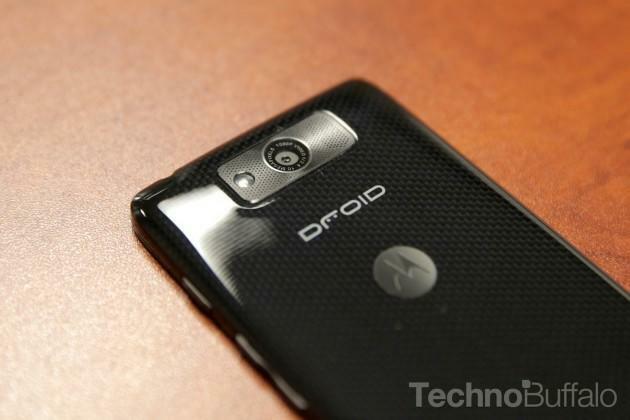 For now that’s just a rumor, though Droid-Life claims it can confirm the device is real and headed to Verizon. The new Droid will apparently offer wireless charging or work with Motorola’s new Turbo Charger, which promises to charge your smartphone with eight hours of juice in just 15 minutes. Sounds good to us, though we’re guessing the Quark or Turbo or whatever it’s called could be a Verizon exclusive. That means if you’re not already on Big Red’s network or willing to make the switch you’ll probably have to wait until 2015 for a Motorola phone with specs like this.